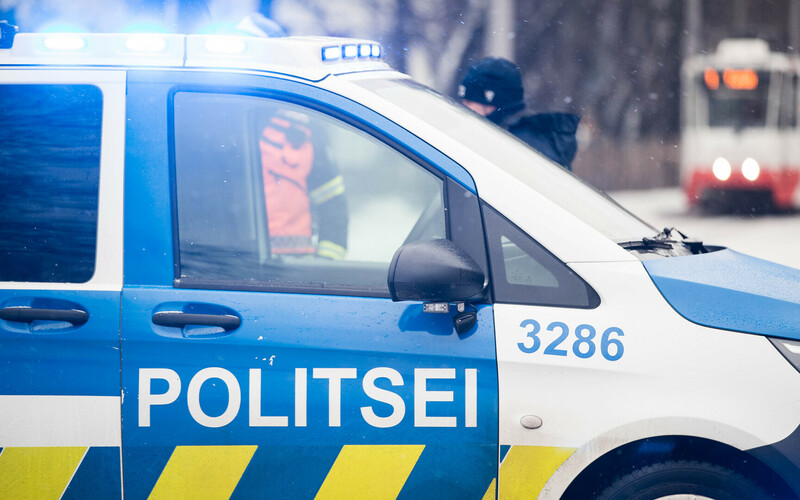 Police are summoned to an average of 15 potential cases of domestic violence in Tallinn every day, with an average of five of these leading to a criminal investigation. "We receive on the average 13-15 notices per 24 hours of someone having suffered as a result of close relationship violence,'' said Kristian Jaani, chief of the North Prefecture of the Police and Border Guard Board (PPA) at a press conference on Friday. ''In about five of these cases, we also open a criminal proceeding, when an act of offence has been very clearly established ‒ that there has been specific violence and we have a person who suffered, so both a victim and a perpetrator of violence," he continued. The total per year is about 1,500 criminal offenses related to close relationship violence registered in Tallinn per year, and about 5,000 notices of domestic violence received by the police per year. "Last year, one in seven crimes in Tallinn were connected with close relationship violence," Mr Jaani continued, adding that Tallinn's most populous district, Lasnamäe, accounts for 40% of cases. In up to half the cases children are involved, either as witnesses of violence or, more rarely, as victims. The figure for domestic violence nationwide is 14,277 cases, proportionately about the same as for the capital alone (with about one third of the population of the country) between the beginning of 2018 and mid-December; in 3,708 of these a criminal investigation was opened, proportionately smaller than for Tallinn. In 2017, every tenth criminal offense committed in Estonia was a close relationship offence, with domestic violence cases accounting for 43% of all cases of violent crime, according to statistics compiled on the basis of data from the Ministry of Social Affairs, Ministry of the Interior, the PPA, the Social Insurance Board and the Prosecutor's Office. Almost half the victims had suffered from violence on repeated occasions in the preceding five years. The typical perpetrator of close relationship violence is a man aged 27-47 and the typical victim a woman aged 25-46. Mr Jaani announced a Tallinn-wide plan to take a comprehensive approach to the problem. "When something has taken place, cooperation between the other links in the network must start: How we help the victim to obtain sanctuary, for them to have place to go where they will be safe. The same applies to the perpetrator of violence, because in this case sending them to court and getting them sentenced is not the solution," Mr Jaani reportedly said. "Many cases do not end in offence proceedings ‒ it matters a lot how we work together with municipalities, the Social Insurance Board, victim assistance services, medical centres etc.. By the way ‒ and let me point this out separately ‒ GP centers have not been actively involved in our various cooperation networks to date," Mr Jaani added. A plan for the detection and early prevention of close relationship violence drafted for Tallinn is to be put before the city government soon, it is reported. The emergency services number in Estonia is 112. The PPA site in English is here.